A move by the government of Colombia to pressure the Swiss pharmaceutical giant Novartis to slash the price paid by the state’s health service for an expensive cancer drug – or risk opening up of the patent to generic competition – has attracted a threat of arbitration under the Switzerland-Colombia bilateral investment treaty. IAReporter have determined that Novartis lodged a formal notice of dispute under the BIT in April of this year, after Colombia’s Health Ministry pressed the Swiss firm to agree to a more than 50% price cut for the blockbuster cancer chemotherapy drug, Imatinib. (Imatinib is marketed under the brand name Glivec in most jurisdictions, but as Gleevec in the USA). Novartis’s notice of dispute came mere days after Colombia’s health minister had written to the company in April of 2016 with a new price proposal, alluding to the prospect of outright “compulsory licensing” of the drug if a steep price reduction is not agreed. Imatinib was initially sold as a generic drug in Colombia, but was granted a patent there in 2012 following a lengthy court battle as to whether the drug reflected any “inventive step”. In the years since 2012, the price of the branded version (i.e. Glivec) has been a point of political contention in Colombia, with the cost reportedly exceeding $15,000 per patient per year. Notably, the drug must be taken in perpetuity, thus heightening the cost implications for patients – and ultimately for the state health insurer that typically pays for such long-term treatment. In late 2014, a coalition of NGOs petitioned the Colombian ministry of health to declare imatinib to be in the public interest, and to issue a compulsory license so that other competitors of the Swiss pharmaceutical giant could produce the drug as well. In February of this year, a Colombian parliamentary committee issued a formal recommendation, citing the cost of Gilvec as a threat to the country’s public health system and urging Minister of Health Antonio Gaviria to declare the drug to be in the public interest. 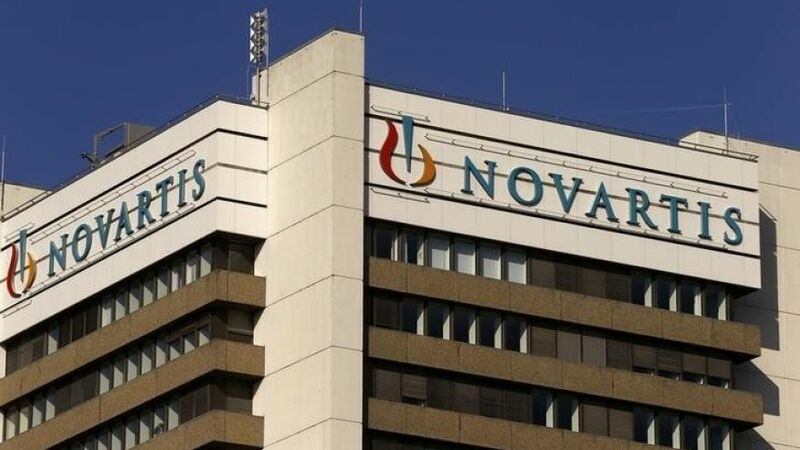 If a significant price decrease were not then agreed by Novartis, the committee urged the Minister to move forward and declare a compulsory licence. In a written response dated April 20 2016, Novartis countered that the drug was already subject to price-limits, and that a further reduction was not possible. Novartis added that the threat of a declaration of public interest, and eventual compulsory licence, should not be used to induce such negotiations. The letter finished by reminding the Ministry of Health that it operates in a broader context, and that a declaration of public interest would in particular affect the Ministry of Trade, Industry and Tourism. The meaning of that latter reference to Colombia’s Trade Ministry became clear days later. IAReporter has learned that four days after Novartis’s response to the Health Ministry, the Colombian Ministry of Trade received a notice of dispute from Novartis, under the Colombia-Switzerland BIT. Neither party has released the notice, leaving the nuances of Novartis’ threat unclear – however we understand that the company’s notice was broadly couched so as to capture the possibility of a declaration of public interest, as well as actions that might flow from that (e.g. price reductions or compulsory licensing). Following this clash, Minister Gaviria subsequently announced at a press conference – whose audio recording has been studied by IAReporter – that a compulsory license would only be resorted to if there were shortages of the drug in Colombia. Instead, he argued that a sizable price reduction would have more immediate benefits for Colombian citizens. On June 14 2016, the Ministry of Health issued a resolution declaring it to be in the public interest to lower the price of Glivec, and asking the National Commission on the Pricing of Drugs and Medical Devices to develop a methodology to reach a price reduction. Two months later, on September 14, Minister Gaviria publicly mooted a possible price cut of 45%. However, a final decision on the price cut appears to have stalled. According to the Ministry of Health, the US Trade Representative has presented a formal petition to allow time for the pharmaceutical industry to comment on the government’s proposed methodology to determine the new, lower price for Glivec. Colombia’s push to lower the cost of Glivec has also attracted diplomatic attention. Months later, Colombia may have been on the receiving end of pressure from U.S. Congressional staff and other officials. A leaked letter to the Colombian Minister of Foreign Affairs from the Colombian Embassy in Washington D.C. warned that staff of the U.S. Senate Finance Committee and officials at the Office of the US Trade Representative had conveyed concerns about any move to pursue a compulsory licence. According to this letter, the Embassy Staff warned that the move could jeopardize US-Colombia relations, including funding for the Paz Colombia process, and future membership for Colombia in the Trans Pacific Partnership trade agreement. In addition, the letter highlighted the possibility of a dispute under the Colombia-US FTA. The spectre of U.S. pressure drew a public rebuke from U.S. Senator Bernie Sanders, who, in a May 2016 letter jointly-authored with another Democratic Senator, expressed concern that U.S. Congressional staff and the USTR may be engaging in “intimidating” behaviour that may have a “chilling effect” on Colombia’s public health measures. In the big picture, Novartis’s patent is reportedly set to expire in 2018, thus raising the question whether the struggle over the patent will come to a head before that time – or whether it will trundle on until the patent’s expiration obviates the potential legal clash over its protection. If Colombia were to impose price reductions or a compulsory licensing in the nearer term, any ensuing arbitration might serve as an intriguing legal test-case, even if the actual financial losses appear minimal due to the imminent expiration of Novartis’ patent. Notably, the expropriation provision of the Colombia-Switzerland BIT includes a carve-out for compulsory licences issued in accordance with the WTO TRIPS flexibilities. The BIT does not include broader explicit public health exceptions or language. Given that a different Swiss treaty, the Switzerland-Uruguay treaty, was just interpreted by an ICSID tribunal in a case turning in part on public health regulations, the final award (and dissent) in the Philip Morris v. Uruguay case might be one potential lens through which the Novartis v. Colombia dispute is discussed. As readers may recall, the tribunal majority in the Philip Morris case had shown considerable deference to reasonable, good faith public health measures. It remains an open question whether a government-imposed price cut would be viewed in terms similar to health and safety regulation of harmful products; moreover, that question would be further complicated by any legitimate expectations that might have been created in the prior interactions between Novartis and Colombia. *** To date, there have been some BIT cases that have centered on other forms of treatment of pharmaceutical companies, including a case against Poland relating to the withdrawal of marketing authorizations for certain drugs, as well as several pharma-related disputes under the NAFTA’s investment chapter.